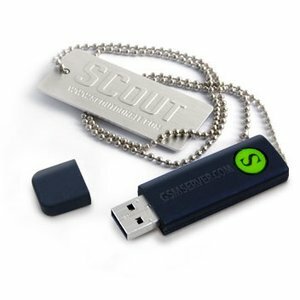 SCout Dongle is an easy, affordable and at the same time powerful Motorola multiflasher. It supports flash functions for CDMA and GSM phones of the following platforms: P2K, LTE, LTE2, POG, Argon, CDMA, I-mode, Acer, CDMA-Compal, Chi Mei and MTK working via PC USB port. Allows flashing of multiple handsets simultaneously. No disassembling and no TestPoint is needed for any model in any case. SCout software supports flash files in *.pcf and *.sfl formats, along with the manufacturer original formats. Each SCout Dongle is equipped with 12 months of free access to the biggest and ever-increasing database (more than 230 GB) of relevant flash files almost for all models, located at Boot-Loader v2.0. After purchasing SCout Dongle all users will get one year of access and 10 GB of downloading traffic with their SCout Dongle. Direct flashing method used by SCout is the simplest and most secure. No disassembling and TestPoint are required for any model. SCout supports P2K, LTE, LTE2, POG, Argon, CDMA, I-mode, Acer, CDMA-Compal, Chi Mei and MTK flashing. The following list contains the models with the flash files for different networks and language packs for various regions. Flash-files database permanently updates by a quantity of new files located on Boot-Loader v2.0. SCout supports flashing of any model, as soon as the user has an appropriate flash file in compatible format. The following list of P2K phones contains the models with the flash files uploaded to https://www.boot-loader.com. Physically SCout supports flashing of any P2K model, as soon as the user has an appropriate flash file in compatible format.